PowerApps is a powerful tool for creating mobile-optimized forms and small apps. It’s included in most Office 365 plans, so probably you are already paying for it. But are you using it? Are you aware of its capabilities?  We have already shown how to leverage Microsoft Flow for automating the Intranet translation process. This time, we will discuss how PowerApps enables mobile content production in your intranet and can help the content producer, with a real-life example. Let’s imagine you are an Intranet content producer in your organization. It’s evening. You’re having dinner with friends or family. Or perhaps you’re already in bed. All of a sudden your boss calls you, telling you that something really important has happened, something that needs to be communicated to the whole company. It cannot wait until tomorrow. You obviously don’t have your laptop at the dinner. You might even have left the computer at the office. How can you get the message across now? Emailing the whole company is hardly a good option. Solution: Microsoft PowerApps – on your smartphone! With the help of Microsoft PowerApps and Valo, you can publish an Alert news into your Intranet with your mobile phone in a matter of minutes. You are back with your family in no time. Here’s how: As a content producer, I will open Microsoft PowerApps app, that you can download from your app store, on my mobile phone. The PowerApps icon on the start screen of an Android phone. The PowerApps start screen where I can choose an app. Existing Alert news, as listed by the Alert News app. From the ‘+’ icon on the top-right corner, a new Alert news is created with compulsory Title and optional Body on it. Expiry -date will determine when the news is not shown as a Alert news anymore. Users will also get a push notification to their mobile phones when Send Push Notification is set to On. The Alert news, highlighted in yellow, looks like this on the front page of the Intranet when it’s published. When you publish an Alert News in Valo Intranet, it is displayed prominently on the front page. Users with the Valo app will get a push notification to their mobile phones. Create an app with zero lines of code in less than 10 minutes! To create the app itself, you need to log in to Office 365 with your browser. Access PowerApp from the Office 365 App Launcher. From the Apps menu, choose Create an App. You can choose from different templates, or start a wizard for connecting to a certain data source. I chose the latter, connecting to a SharePoint list as that is where the Alert News are in Valo Intranet. If you’re already logged in to the Office 365 tenant where your intranet is, it is very straightforward to find the site and the Alert News list. Choose a list to connect to. After a couple of seconds, the new app is ready for editing! In the edit view, you can choose which fields to display and modify lots of other parameters. 1) listing of all alerts, 2) the view of one alert (after tapping its title in the listing view), and 3) the new alert form that opens from the ‘+’ icon. Editing the parameters of a field of the form. Below you can see the Edit view, and a little rule I created for the expires field: it is set by default one week from today, meaning that an alert news will remain visible for 7 days on the Intranet front page by default. I will skip the detailed steps of the modifications as you won’t need them – using PowerApps is as intuitive as its gets. Modifying the order of fields is a matter of dragging & dropping, hiding a field happens by deleting it from the form, and so on. When you’re done with the App, just save it, then publish it for the audience – the content producers in this example. Sharing an app. Some users can use, others can also edit the app. Conclusion: PowerApps is a powerful tool for mobile intranet content production, whether you just like to work on your mobile on the go or to save your night with a sudden need to create News to your audience! Obviously, this example is only a tip of the iceberg of the capabilities of both PowerApps and Valo. If you want to learn more, book a demo with us!  Valo North America Business Lead and big fan of SharePoint. Juha enjoys playing tennis and being a language-machine! He speaks fluently at least 7 or so languages.